The High Court of New Zealand (Māori: Te Kōti Matua o Aotearoa) is the superior court of New Zealand. It has general jurisdiction and responsibility, under the Senior Courts Act 2016, as well as the High Court Rules 2016, for the administration of justice throughout New Zealand. There are 18 High Court locations throughout New Zealand, plus one stand-alone registry. The High Court was established in 1841. It was originally called the "Supreme Court of New Zealand", but the name was changed in 1980 to make way for the naming of an eventual new Supreme Court of New Zealand. The High Court hears cases in the first instance which exceed the jurisdiction of the District Court and other lower courts. This includes civil claims exceeding $350,000, and serious criminal cases such as homicides. In its appellate function, the High Court hears appeals from the District Court, other lower courts and various tribunals. The High Court Judges and Associate Judges are based in Auckland, Wellington and Christchurch, but also travel on circuit to Whangarei, Hamilton, Rotorua, Tauranga, Gisborne, New Plymouth, Napier, Whanganui, Palmerston North, Nelson, Blenheim, Greymouth, Timaru, Dunedin, and Invercargill. The Court also has a registry in Masterton. The High Court deals with the most serious types of criminal offences that exceed the District Court's jurisdiction. It deals with all category 4 offences, including murder, manslaughter and treason, as well as any other offence where the accused is likely to be sentenced to life imprisonment or preventive detention. A High Court Judge may direct that a serious category 2 and 3 "protocol" offence, such as aggravated wounding with intent, kidnapping or sexual violation of a child, be transferred from the District Court to the High Court for hearing. Most cases are heard before a judge and jury, but may sometimes be heard before a judge alone. The Court generally deals only with those civil claims that exceed the jurisdiction of the District Court or other courts and tribunals, including cases where the amount in dispute exceeds $350,000 or where particularly complex issues are involved. This jurisdiction includes matters concerning admiralty, company law, bankruptcy, the administration of estates and trusts, property transfer, land valuation, and many other areas. Rights of appeal to the High Court exist against the decisions of the District Court (except for jury trials), the Family Court, the Youth Court and the Environment Court and numerous administrative tribunals and regulatory bodies. The Trans-Tasman Proceedings Act 2010 (NZ), the Trans-Tasman Proceedings Act 2010 (Aust) and the High Court Rules 2016 streamline the process for resolving civil proceedings with a trans-Tasman element. The Acts cover many matters including service, interim relief, hearing matters remotely and the enforcement of judgments of courts of the other country. 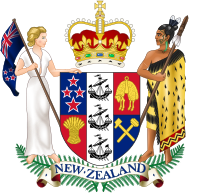 ^ Judicature Amendment Act 1979 (NZ), s 12. ^ "History and role — Courts of New Zealand". www.courtsofnz.govt.nz. Retrieved 2017-01-25. ^ Criminal Procedure Act 2011, section 74(3). ^ Criminal Procedure Act 2011, sections 66 to 70. ^ "The Judges and Associate Judges of the High Court". Courts of New Zealand. Retrieved 14 July 2018. ^ a b "Appointments of Judges of the High Court". Scoop. New Zealand Government. 6 December 2018.